The team of professionals that serve families with diabetes took an afternoon to bond and do something together. We cooked a delicious meal! 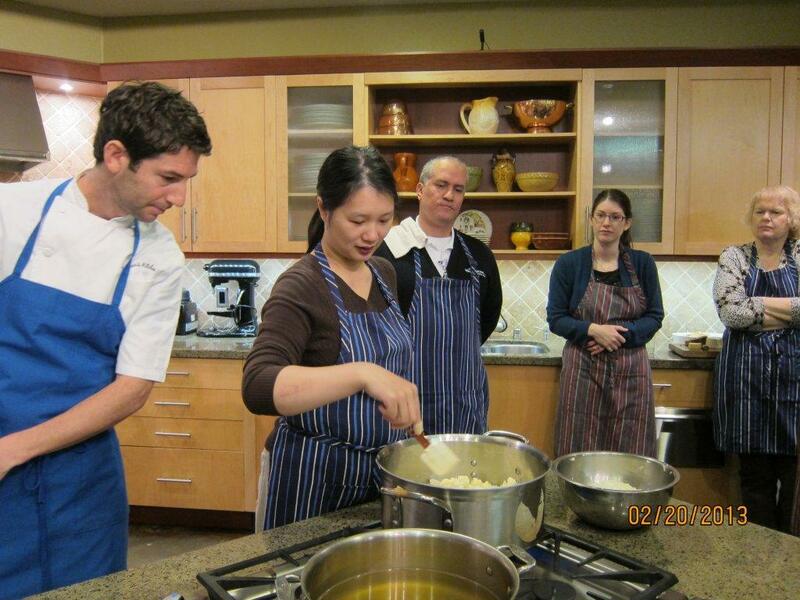 The Jordan's Kitchen cooking class was hands on and most interactive. We worked together closely and created something wonderful. The menu included a pan seared Alaskan cod, grilled asparagus, wild rice, cauliflower soup with Dungeness crab (held for the vegetarians), chives, toasted cumin seeds and lime oil, and a dark chocolate mousse for dessert. Ok, there may have been some wine served to compliment the mix. Here are some photos from the team building experience.